Family architecture is all about fulfilling the welfare of a family and each of its members. This is a space where you can indulge in your favourite activities without disturbing other people in the house! So today at homify, we are going to look at five original projects/homes and discover the ins and outs of genius architecture. Let's go full speed ahead! This charming home is as cute as it is smart—we cannot help but want to succumb to its simple and successful style. The architects have created a pretty and open family home, which looks simply magnificent from the outside. The whole family can find a cozy spot in this house and engage freely in their own hobbies and interests, without annoying each other. Small note: the splendid terrace allows for long and pleasant afternoons sunbathing and enjoying the view! This is the view of the beautiful family from the side. We can see that the facade is far less open than the previous photograph, reducing heat loss from inside. The wonderful wooden slats seduces us with its soft, warm colours, which works beautifully with the natural surrounds. Fantastic forests are a great place to build a family home and settle down! Here is an aerial view of the house, where we can better appreciate the generous dimensions of the terrace. The one wall is almost entirely glass, which allows for an extraordinary amount of natural light to illuminate the interior space of the house. On the side, there is a small secondary terrace that offers a relaxing area and enjoyment for the whole family. Have a look through these homify products for terraces, for inspiration for your own family home! 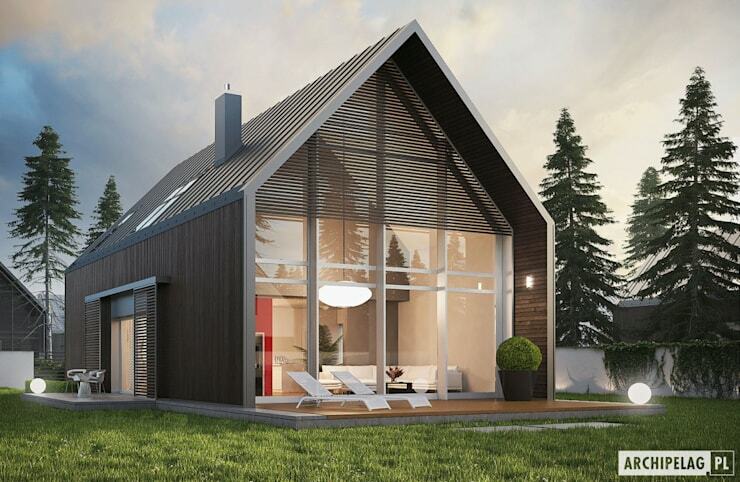 This property that we present today is a transportable house that can be assembled in a day. Its price may vary—between R380 000—R740 000, which is much cheaper than a normal house. Don't you think this is the kind of home that's the home of the future? 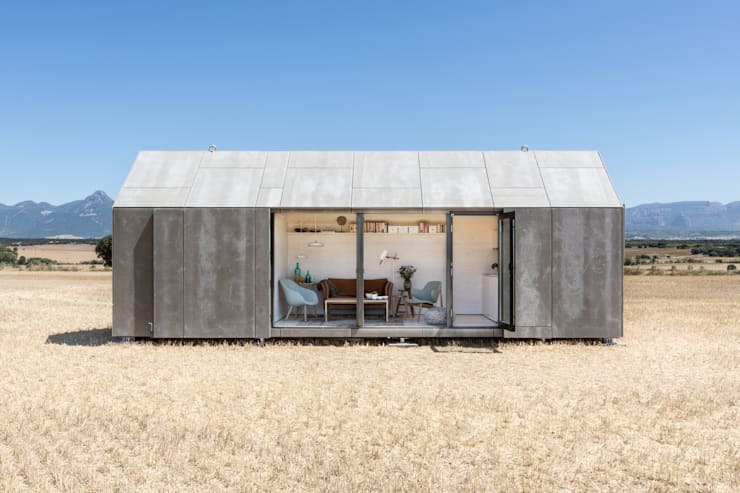 Designed by ABATON Architects, this is a portable and economical home that has the power to end our sedentary lifestyle. A revolutionary project, this is an innovative idea that we are very excited to present in this book of ideas. Having won several awards, this house amazes us in terms of both its architectural shape and solid build. This is the type of home that invites us to rethink our habits and lifestyles. The purpose of this type of construction is to simply meet the expectations of each family member and search for a simpler life that is in harmony with nature. This type of home that we present you with today is one of the smartest and includes five models of different shapes and sizes to suit different situations, needs and budgets. 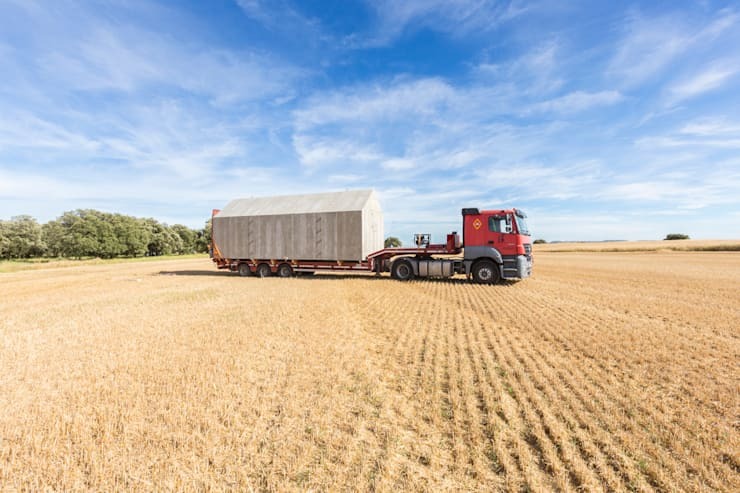 The transport of this eight ton home is conducted with a standard truck. Once the site has been selected, the truck crane installs it on the ground. It's as simple as that. You can carry this building wherever you want, even across the ocean—although this will result in additional costs. But how often do you get to change where you live while keeping the same house? All that this type of home requires is a solid ground where it can be installed. Inside, the atmosphere is completely different. If the exterior of the property is a compact, robust and uniform block, the interior is warm, comfortable and quiet. 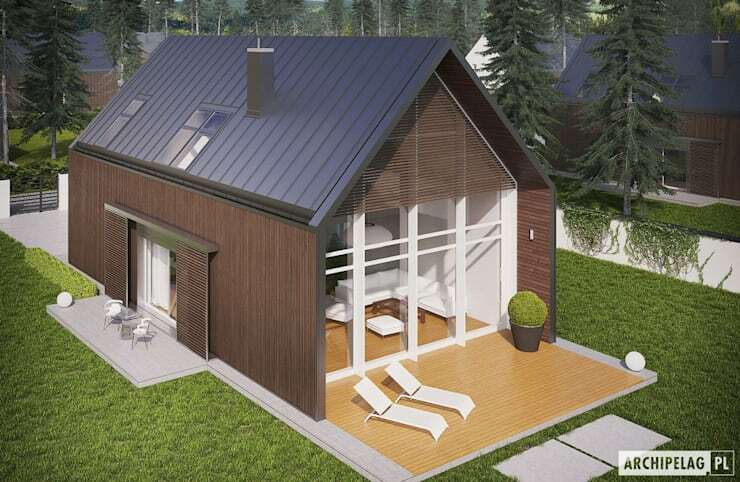 This particular model is the perfect house for two and is a building that can be used for different purposes. This is the largest room, which makes up the kitchen, office, dining room and living room. The home makes provision for distinct living areas: the living room, which includes the kitchen, a full bathroom and a bedroom. The house is nine metres long and three metres wide, which becomes 27 square metres of living space. 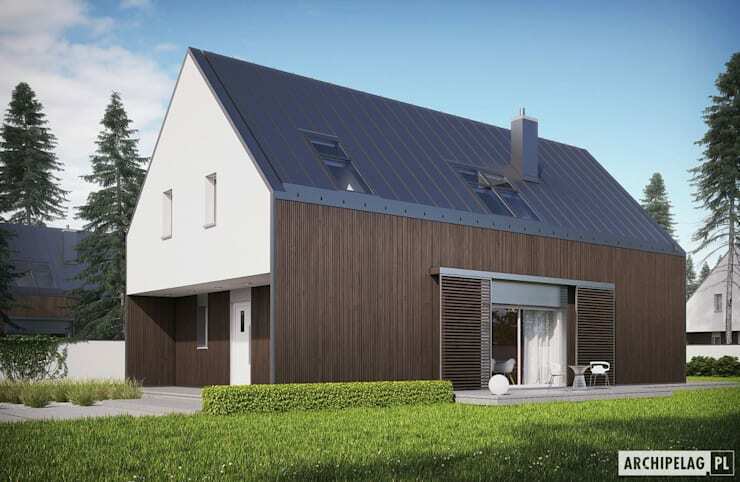 The gale roof adds a height of 3.5 metres to the home. This project that we present to you today depicts the border between art and architecture. It manages to perfectly combine the elements of these two fields, creating a very fascinating and surprising result. Don't you think that'is type of home that is sure to capture our amazement: is it a mirage or is this a real house? Don't wait any longer, let's start discovering this unusual project! 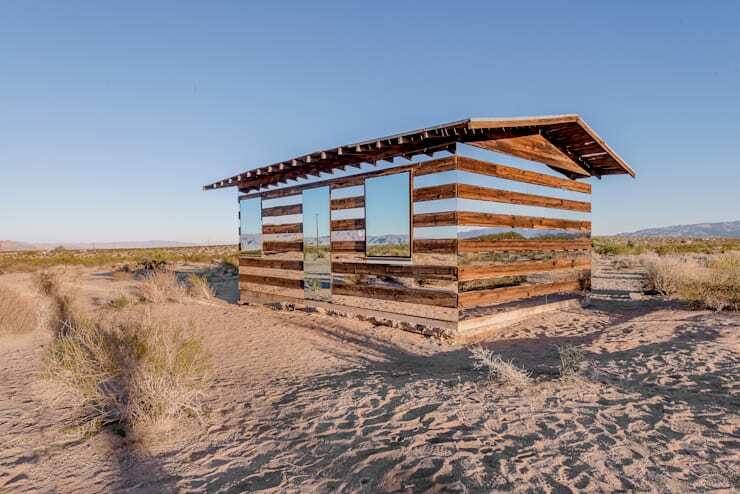 The American Artist Phillip K. Smith III found a wooden hut in the middle of the Californian desert, which was abandoned, old and dilapidated and decided to turn it into a work of art. He decided to illustrate how volatile and harsh the desert is, depicting its smoldering heat and monotonous appearance. He also wanted to show how a simple addition and change can have such a significant impact on the landscape that surrounds it. The windows and doors of this unreal house are covered in mirrors. 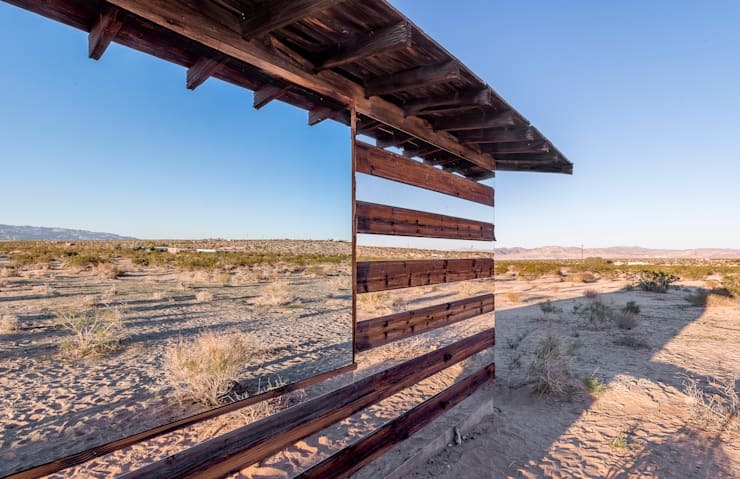 These large pieces of mirror thus reflect the larger area of the setting, accentuating the illusion of penetrating the landscape and strengthening the effect of the image. An apartment of 140 square metres is not really affordable for everyone these days, as you know. The project that we are introducing you to today is specifically designed to meet the needs of those of us struggling with a lack of space in our home. When it comes to dimensions of 20 to 35 square metres, we will show you that nothing is really impossible with the help of an expert. 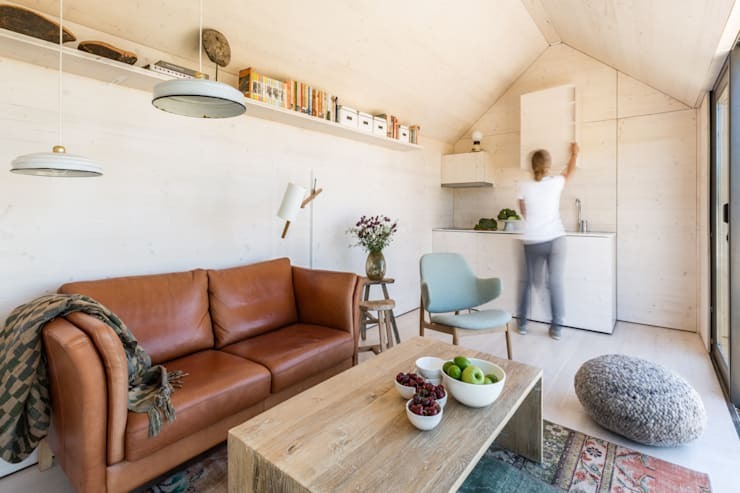 You can even turn an old barn into a modern and functional studio, just like Pini&Strauli Architects have done! Upon entering this space, you will be incredibly surprised to find that nothing looks like a barn! In fact, the interior is furnished in a modern, Scandinavian style. The owners have decided to turn this into a guest studio, which is an ideal and comfortable space for them to stay. The roof beams have been reinforced and the interior space has been cleaned out and renovated, with a fresh, new and modern coating on the floor. What is most interesting about this space, however, is the space saving solutions. 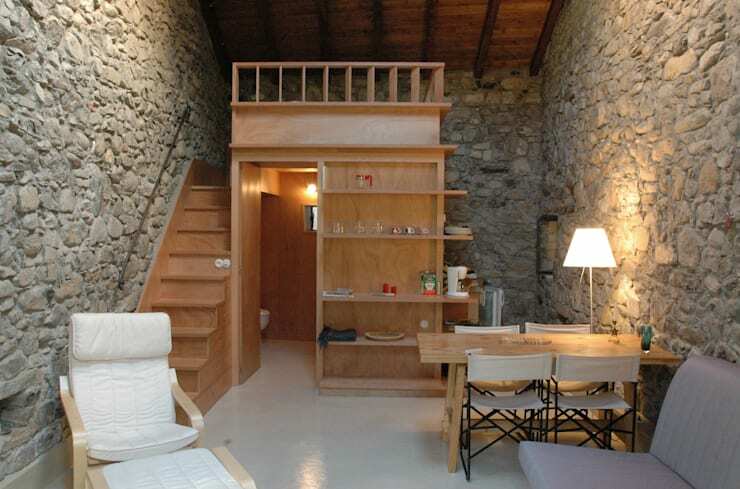 Every few square metres have been utilised in this rustic old building, where the large custom wooden furniture has been used in three different ways. 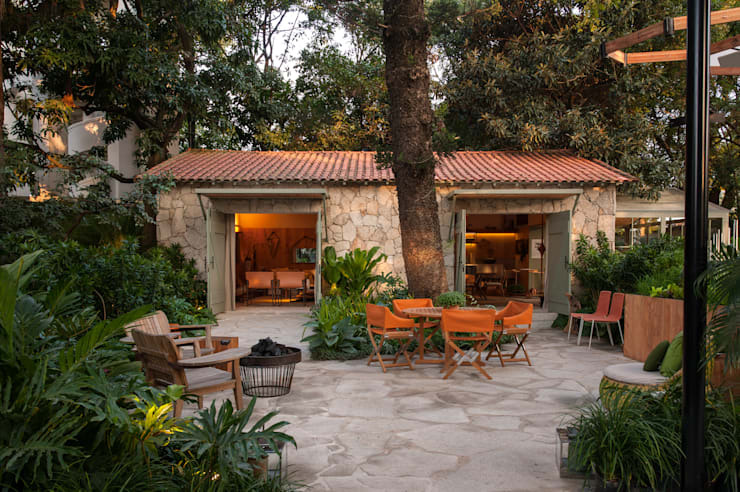 Brazilian interior designer Marina Linhares focuses on a very specific choice of materials as well as attention to detail.The project deals with concepts such as integration, usability and functionality. 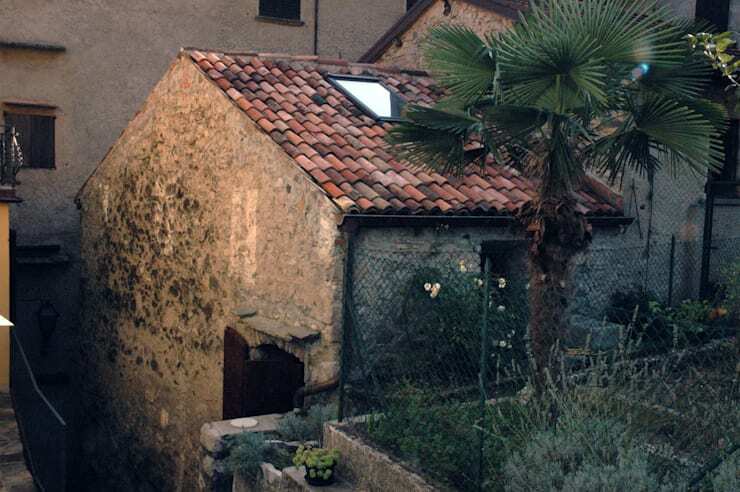 This house is 70 square metres and features a 95 square metre garden, which is a delightful spectacle for guests before they enter the house. Marine Linhares' project is a symbol of a simple, structured home that adapts well to its environment. It also offers a pleasant and authentic lifestyle. According to this architect, our living space must promote usability, long conversations and time spent with friends and family. This is why she has designed a large open space with a wood stove and a gazebo in the garden. Particular attention was paid to the client's needs as well as a warm, earthy style that is original and authentic. 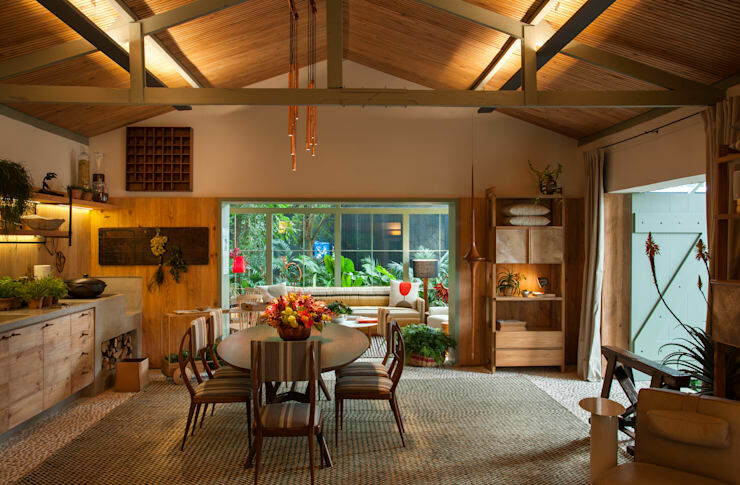 In the house, there are several different spaces: a living room, a dining room, a kitchen and a veranda, each of which is characterised by warm colours, materials and special objects. Don't you love the large and cozy carpet, which improves the sense of oneness and harmony, while bringing warmth and elegance to any room. You'll love this story of wood and stone. What do you think? Do you like small houses? Send us your comments!